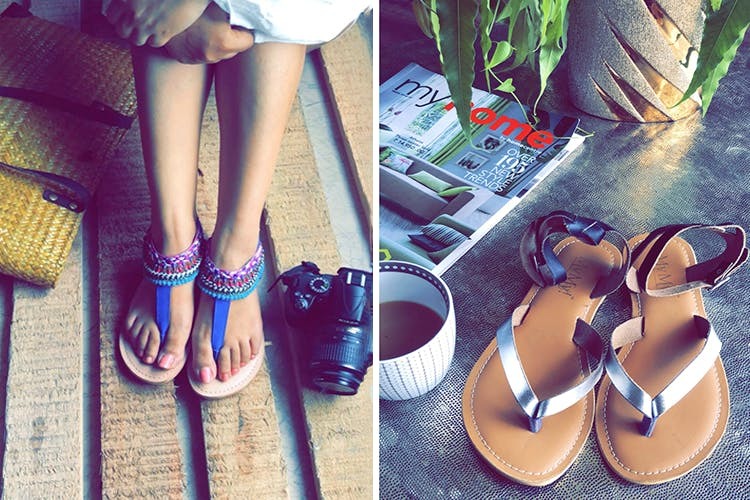 My My Footwear is combining style with comfort to create leather footwear for everyday use, whether it's to work or for a Sunday brunch. They're doing sturdy, simple shoes that still look attractive and can be worn with most outfits. They use good quality leather and their designs are pretty good too. What we liked about them is their pretty designs that aren't over the top, but clean with have colours like silver and gold, and with tan leather that goes with pretty much anything . If you're someone who likes keeping your footwear game minimal and sensible, they've got just the stuff for you. We love their strappy flats and their wedges.They've got comfortable padding underneath, so you can walk around in them all day. We'd love to see some more colourful designs. Check out their Instagram for deals of the day.